This article on the Boston Channel website looks into the increasing popularity of nurse-midwives after a period of decline. For example, a woman named Carla Tonks decided to switch to a nurse-midwife program when she was pregnant with her first child seven years ago. She hadn’t been impressed with her experience with the ob-gyn, especially the long waits at his office that resulted in actually seeing the ob-gyn for only 10 minutes. She switched over to a nurse-midwife program and was much happier. She moved away from Massachusetts and became pregnant with her second child, and this time sought out a nurse-midwife in North Carolina, her new location. This experience went well too, and she kept up the trend with her third child after she returned to Massachusetts. In the article she pronounces herself “very happy” with nurse-midwives, and appreciates that they can spend more time with mothers-to-be. Midwives, which were the rule until the mid-20th Century, are becoming more popular again. According to a report by the American College of Nurse-Midwives, 11.3 percent of vaginal births and 7.6 percent of all births were attended by either certified nurse midwives (CNMs) or certified midwives (CMs) in 2009. The number has risen each year since 1989. Certified midwives are not nurses but have Master’s degrees. Anna Jaques offers nurse-midwives. Either type provides care to women during pregnancy, labor and birth, as well as during the postpartum period. They typically handle low-risk pregnancies. Tonks said she did develop high blood pressure during her most recent pregnancy, but she decided not to transfer to a doctor’s care. “The nurse-midwives can take on a lot more than you think,” she says. Another plus was that over the course of her pregnancy, Tonks developed close relationships with all the nurse-midwives at the hospital, so if Walsh, for some reason, was unavailable at the time of delivery, Tonks would still know the person performing the delivery in her stead. As nurses, we are sometimes guilty of making a little too much noise, especially at shift change when our numbers temporarily swell, and during the night when we are attempting to stay awake using any means at our disposal. Sometimes noise is not entirely our fault, such as when a confused patient cries out in the night, oblivious to others who are trying to rest. Let’s face it — hospitals can be noisy places, and while certain noises can be controlled, others cannot. Some areas are understandably noisier than others. 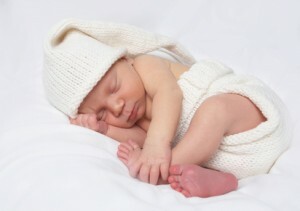 Newborn nurseries can be loud, especially when several infants are vying for attention at the same time. The emergency room can be a very noisy environment, usually full to overflowing with multiple patients in extremis. Patients in the ICU are exposed to not only the noise emanating from other patients, but from a variety of equipment that beeps, honks, rings and clangs — it’s enough to drive anyone mad! So how do patients perceive the noises encountered in the ICU? A study from the University of Gothenburg set out to answer this question. Researchers registered and recorded the level of sound around thirteen seriously ill ICU patients over a full 24-hour period of time. On average, the sound levels around the patients fell between 51 and 55 decibels (dB). How loud is 55 decibels? This level of noise can be compared to lying beside a busy road. This level of sound is approximately 20 decibels higher than the level recommended by the World Health Organization. Worse, the noise level surrounding the study participants sometimes rose to a level of 100 decibels in short bursts. The patients categorized the noises they experienced as being either positive or negative. The positive noises included staff members chatting quietly among themselves or providing information regarding a patient’s conditions or treatment. These sounds were viewed as comforting and soothing, rather than annoying or bothersome. Negative sounds were those sounds that were unpredictable and/or uncontrollable. Examples included noises from machinery, other patients or treatments. Sounds that were loud and unidentifiable were also frightening. Sounds even became part of the hallucinatory landscape for one patient in the study. Sudden loud noises were deemed to be more disturbing than a generally loud and constant noise level. What level of noise is acceptable? The World Health Organization actually recommends a level of 30 decibels for patient rooms. Most of us do not walk around with a sound pressure level meter in our pocket to determine how much noise we are making; however, we should make every effort to provide a quiet, calm and restful environment for our patients. Being in a loud environment is not only unpleasant, but the resulting lack of sleep has been found to have a real impact on health outcomes. Of course, we are only human and are sometimes guilty of laughing or talking a little too loudly, but on the whole we should be cognizant that sound travels and can reach the ears of patients who are trying to earn that most valuable of commodities in a busy hospital environment — a good night’s sleep. A pilot mentoring program based in Nevada is hoping to accomplish at least two things. First, help nurses figure out how to take their “book learning” from nursing school and put it into practice. The program also aims to help the experiences nurses who will serve as mentors to rekindle their own excitement about the profession. The program is called the Nevada Nurses Association Mentoring project, and is sponsored by a grant from the American Nurses Association, according to this article on Nurse.com. Nurses with at least three years’ experience and newly licensed nurses each complete profiles and then are matched according to compatibility. Then the mentor-and-mentee pairs communicate via email about any questions or concerns the mentees may have. The time commitment is minimal — the article states that only 15 minutes a week for 8 weeks is required from the mentor nurses. Networking can be difficult, especially in Nevada where vast open spaces separate large population centers. Nurses with questions about a particular specialty may have to travel a long way to mingle with someone in their field. By early September, 10 matches had been made and five mentors were awaiting mentees. McGuinn said they are hoping for at least 250 matches in the next month. The hope of the program is not only to help nurses through the early years, but also to get them engaged in their profession and ready to help the people who come after them. “These are our leaders of tomorrow,” McGuinn said. An interesting question was raised online in Nursing Times: Do nurses have time for reflective practice? Reflective practice can be defined as reflecting on experiences in order to critically evaluate what you do well and how you might improve your personal nursing practice (i.e. skills, communication, interpersonal relationships, professionalism, beliefs, values and behavior). It involves the process of critical thinking. Nursing students are encouraged to perform reflective practice throughout their nursing education; in fact, reflective practice is often a formal component of nursing education in the form of journaling or other forms of writing that are evaluated by nursing instructors. What happens when we graduate from nursing school and enter the “real world”? How many of us take the time to reflect critically on our nursing practice? How many of us have the time to practice critical reflection? Some might argue that nurses are not allowed the time to practice critical reflection in the workplace. Many nurses are overworked, with too many patients and too few staff members available. Many nurses are focused on whether they will have time to break for lunch or visit the washroom, let alone take the time to engage in reflective practice. However, reflective practice does not need to be as formal as it was in nursing school. Most of us engage in reflective behavior regarding our experiences as nurses on a daily basis, but don’t recognize that that is what we are actually doing. For example, when conflict arises with a patient’s family member, we may spend time thinking about how we responded to the family member’s criticism. We may take it a step further when we discuss the issue with our colleagues and ask their opinion about how we handled the situation, perhaps soliciting advice on how to better handle a similar situation in the future. We may grieve the loss of a patient to whom we had grown close, or dread the imminent loss, and spend time reflecting on how the relationship we formed with the patient was special or different from relationships with other patients, and why this particular patient moved us. We may engage in an informal debriefing session following a particularly difficult trauma in the ER, identifying ways to improve performance and what might have been done differently. These are all common scenarios and are examples of reflective practice, whether we think of them in that fashion or not. The bottom line is that reflection does not need to be a formal process (although it can be if you prefer). As nurses, we constantly strive to become better practitioners. Just as formal continuing education is a requirement of the profession, so too is reflective practice. Reflection is a skill that we learn in nursing school that becomes engrained in our psyche. We first learn the practice of critical reflection in the form of reflective activities and assignments that nursing instructors comment on, pointing out things we perhaps did not or would not have realized without someone’s greater experience. As we evolve in our ability to reflect critically in regards to our practice, our reflection becomes a reflex, a skill we have learned that we no longer think about consciously while performing, much like the physical skill of inserting an IV or taking a blood pressure reading. This is a fascinating case study. It opens with a woman being dangled by her feet by a “giant” in the Emergency Room. Various ER personnel are alarmed and try to get the seven-foot-plus man carrying her to put her down already, but both the (very tall) man and the (very small) woman insist that she needs to stay in her inverted position. Dr. Louis F. Janeira comes on the scene and tries to make sense of things. He eventually learns that a) the large man holding the small woman is named Jason, b) the small woman is his wife, Mary, who the doctor had in fact seen the day before due a slow heartbeat but didn’t recognize, upside-down. She’d come in to the Emergency Room the day before with a complete heart block, which is caused when the electrical system that connects the atria to the ventricles fails. Her heart rate had been under 40 beats per minute instead of the normal range for her age group, 60-80 beats per minute. Dr. Janeira had called a colleague for urgent implantation of a pacemaker, which generates rhythmic electrical pulses that bring the heartbeat back to normal. Dr. Janeira discovered that the pacemaker was successfully installed the day before, and Mary had returned home from the hospital that morning. Everything was fine until about half an hour beforehand, when she had coughed and then collapsed. Her husband Jason explained that she had fallen behind the bed and he’d picked her up by her ankles, and she regained consciousness. When he’d put her down, she fainted again. This process repeated a few times; she’d pass out, he’d pick her up by her ankles, and she’d be back again. So they’d given up on the experimenting and he was just carting her around by her ankles to keep her conscious. My mind raced through the possibilities. Mary could have something obstructing the blood flow from her heart to her brain that was overcome when her head was down. Or her blood pressure could be so low that blood reached the brain only when she was upside down. Blood pressure that low could have been triggered by an allergic reaction, anaphylactic shock, or severe dehydration. Another possibility was that Mary was suffering from cardiac tamponade, a compression of the heart caused by a buildup of blood in the sac covering the organ. If her heart had been perforated during the pacemaker implantation and blood had seeped out into the sac around it, it might be that her ventricles were now being squeezed by this accumulating blood, lowering her cardiac output. That condition could improve when she was upside down by increasing blood flow to the brain. I pointed the way, and Jason carried her into the cardiac room, an entourage of curious ER personnel trailing behind us. Even once in the cardiac room, Jason was unconvinced that he should let go of her ankles and put her on the bed. “When I put her down, she’ll go out on us,” he said. Jason nodded. 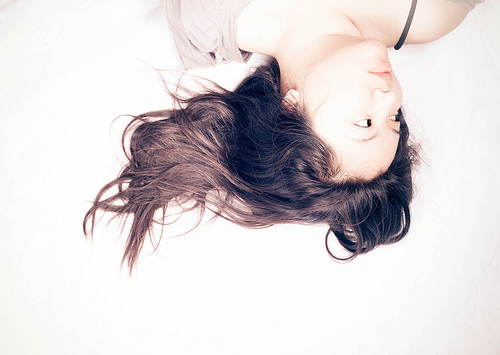 Mary’s long black hair waved back and forth, which I took for agreement from her, too. Ellie then placed heart monitor electrodes on her chest. “OK, slowly get her on her back,” I said. Jason walked closer to the bed and Ellie and I eased Mary down onto it. The only sound came from the heart monitor: beep, beep, beep, steady at 60 times a minute. We all held our breath. Then the cardiac monitor showed a sudden change. The alarm began screaming. “Here I go,” said Mary. “It’s happeni…” Her words dissolved into nothingness. “Get me epinephrine,” I yelled. Also known as adrenaline, epinephrine is a hormone that can constrict blood vessels and get a stalled heart beating again. “But we don’t have an iv in yet,” said Ellie. “Out of my way,” said Jason, pushing us aside to get to Mary’s feet. “I told you this would happen.” The big man grabbed Mary’s ankles and pulled them up in the air. Moments after Mary was upside down again, the heart monitor resumed steadily beeping. Pacemakers are made up of two main components, a generator and a lead that carries electrical impulses to the heart. Often the lead tip is screwed directly into the heart muscle, but in rare cases it can dislodge and cease to stimulate the heart. Data from St. Jude Medical, one of the largest pacemaker manufacturers, show that out of about 220,000 implants of the company’s most popular lead attached directly to the heart, only 97 dislodged within 30 days of implantation. Apparently, Mary was one of the rare cases. “How are we going to fix this, doc?” Jason wanted to know. We inserted an iv in Mary’s arm and hooked her up to an external pacing device. But pacing her heart through her chest wall gave her severe discomfort and was not a good option, even in the short term. Moreover, it turned out that Mary’s slow beat did not respond at all to medications, including intravenous epinephrine. So she was quickly transported to the electrophysiology laboratory, dangling by her ankles, carried by the only man around with enough strength to do it. And my ER shift continued. The next day I was back on duty. As I came out of a room after examining a small child with a fever, I heard a familiar voice behind me. “How do you feel now?” I asked. And with that, she left my ER walking upright and hand-in-hand with her giant. 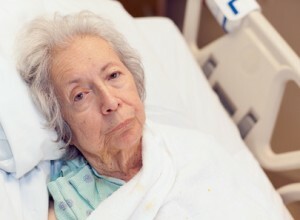 Hospitals are places of recuperation, and sleep is essential to recuperation. But hospitals can be very, very noisy places. Patients have criticized the clatter for years, but the alerts emitted by all of the various alarms, whistles and buzzers have typically been deemed by hospital administrators to be more important overall. That attitude has been changing though with a greater focus on patients, new policies linking hospital reimbursement to patient satisfaction, and more research on the effects of a noisy hospital environment. In this article in the New York Times, Pauline W. Chen, M.D., says that patients endure a level of noise that “borders occasionally on deafening.” A recent study found that average noise levels in a hospital room way outstripped the recommended 30 decibels (slightly louder than a whisper) that is recommended by the World Health Organization. Meanwhile, peak noise levels were sometimes as loud as a chain saw! The more noise, the more of a negative impact on patients’ sleep. And the less sleep, the worse the health outcomes. Some noises were found to be more disruptive than others. While all loud noise was problematic, the electronic alarms from monitors and the ringing from telephones were most likely to wake up a patient. And each time patients were awakened, their heart rates jumped. Manufacturers of monitoring and medication infusion devices have not turned a deaf ear to the problem. The industry has begun sponsoring and conducting research on the amount of noise generated by medical devices, and several groups have begun working on creating more patient- and sleep-friendly products. 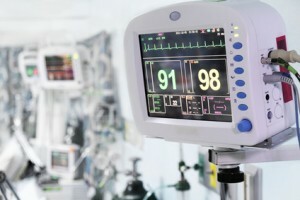 Some companies, for example, have tapped into the increasing use of wireless technology in hospitals, designing monitors, pumps and nursing call systems that do not buzz or beep right at the patient’s bedside, but rather channel the alarms only to the doctor or nurse responsible. The most challenging obstacle in the quest for quiet, however, appears to be not the machines but rather the approach to patient care in most American hospitals. Doctors, nurses and other members of the hospital staff often wake patients up in the middle of the night or during afternoon naps to assess a non-urgent blood pressure or temperature, draw blood or administer medications that could safely be delayed by a couple of hours. To change this culture, some health care systems have initiated hospitalwide campaigns, with names like “Shhh” (Silent Hospitals Help Healing), “Hush” (Help Us Support Healing) or simply “Too Loud,” that institute mandatory quiet times, designate noise reduction teams to encourage compliance and use sound meters in the shape of traffic lights or human ears that turn green when the noise level is acceptable, yellow when it increases, and red when it goes above the acceptable range. With the support of Planetree, one hospital system, the Department of Veterans Affairs New Jersey Health Care System, has gone beyond minimizing noise and actively elicits suggestions from patients on how the hospital can help them sleep better. When admitted to the hospital, all patients are asked about their sleep patterns, then given a laminated “sleep menu” card from which they can choose a variety of sleep aids, like light-blocking masks, sound machines, warmed blankets and aromatherapy. The patients’ sleep preferences are then posted in their rooms to alert staff members, and a nurse assesses their sleep experience each day. Uncompensated health care is a major issue for hospitals, with an estimated $39.3 billion of care going uncompensated in 2010. The size of this financial burden has forced hospitals to use more creative debt collections, such as asking for payment at time of service versus asking solely for insurance information. 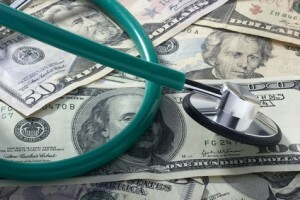 Hospital debt has lead to the development of companies like Accretive Health. Accretive Health states on it’s website, “Accretive Health increases access to care by bringing increased discipline to the revenue cycle.” Non-profit health care organizations would all agree that a positive revenue cycle allows them to fulfill their missions. But how they collect “bad debt” has become the challenge and the legal question. For many, the hospital is seen as a “sanctuary to treat the sick and infirm” as stated in a report by Minnesota’s Attorney General, Lori Swanson. Swanson has been working to push the issue of debt collection in health care to the forefront, forcing us to wonder what can and should hospitals be doing to address bad debt with the hope of remaining financially stable. It’s important to keep the doors open, but how to best do this? An ill patient who is asked about payment before care is given may understand or hear the question, “how would you like to pay for your care today” very differently then a patient asked the question after care is provided. And a patient who is able to hand the hospital staff member a health insurance card is likely to have a different level of stress then one who does not have this option. Nurses, who do not routinely have knowledge of patients’ insurance coverage or ability to pay, need to be aware of the practices being used by their employers to decrease bad debt. As the first health care professional the patient is likely to encounter after completing registration or checking in, nurses are in a key position to reassure patients that the quality of the care they will receive is not based on their ability to pay. The nurse does this by showing the patient respect and dignity; answering questions about cost and billing honestly; and seeking help from any internal resources available in the organization, such as Social Services, a financial counselor, or a pharmacist. The nurse can also act as a patient advocate in relationship to treatment plans. The selection of a less-expensive dressing or stoma pouch versus selecting the clinic or hospital standard could mean dollar savings for a patient, with no decrease in quality. Nursing as a profession has the responsibility to understand both sides of the bad debt issue. Advocating for patients to receive quality care regardless of ability to pay is important. However, nurses will fail patients if this is their only involvement. Nurses also can be active in quality improvement and resource projects directed at reducing cost and length of stay for patients. These are the actions that will provide our national health care with sustainable choices by addressing the cost of health care for all patients. In this article on Canada.com, a professor of nursing named Laurie Gottleib examines the role that nurses have in educating doctors. She points to the combination of theoretical and practical knowledge that nurses possess, as well as their tendency to be much more accessible than senior doctors. Nurses frequently point out the warning signs of a patient’s deterioration to medical interns and residents, correct their misinterpretations of signs and symptoms, suggest diagnoses, and anticipate when and how to intervene. In this recent post about the “July Effect,” for example, a nurse recounts how she had to convince a new young doctor that his patient was in dire need of more pain medication. Gottleib says that physicians are often grateful for this sort of guidance, yet nurses are not usually given credit for their role in doctors’ education. Knowledgeable nurses protect the system in countless ways, not least by ensuring that physicians have the most up-to-date and salient information about their patients so they can make medical judgments and take appropriate action. They are people who have committed themselves to nursing as a career and have selected workplaces that value nursing. Experience working in one place or with one group of patients is required to develop expertise and intuitive know-how – a key to reading the signs correctly and predicting which patients are in trouble. Two decades of research have exposed the deleterious effects of devaluing and undermining nurses and nursing. The cost has been high in terms of nurse burnout and patient morbidity and mortality. Research has also revealed the conditions needed to retain professional nurses. When nurses are recognized and respected for their expertise and given status, resources and opportunities to function autonomously within their scope of practice, they stay in the profession. The most intriguing finding in this research is that the most consistent predictor of nurse satisfaction and good personal health (i.e. a low burnout rate) is positive professional relationships with doctors. When doctors partner with nurses and there is clear communication between them, patients’ needs are met. Within the McGill university and hospital network these lessons have been heeded. For example, there has been ongoing dialogue within McGill’s Faculty of Medicine and School of Nursing about how to improve inter-professional education. (This discussion extends to physical and occupational therapists and speech therapists.) At the Jewish General Hospital, nurse-physician partnership is the organization’s managerial structure in all matters of patient care. These are important beginning steps for restoring the health-care system and a healthy nursing workforce. We are still recovering from the effects of the recent past, when Quebec’s nursing operations were dismantled and the nursing workforce was left not adequately prepared for today’s health-care challenges. In the next decade we need to continue to build a workforce of front-line nurses who are well educated, knowledgeable, skilled, compassionate and committed to nursing as a career. Quebec nurses took this step themselves when they voted at this year’s meeting of the Ordre des infirmières et infirmiers du Québec to make university education a basic requirement for entry into the profession. Employers need to continue to create workplaces where nurses are given support to practise to the full extent of their training, and where physician-nurse partnership is the governance structure. Physicians need to treat nurses as respected and valued partners, not as subordinates. Nurses need to embrace these new opportunities and become accountable for their practice. And governments need to dedicate resources to support innovative nursing roles that complement those of doctors and other health professionals to meet the complex needs of patients and their families. When this happens, the health-care system will be transformed and quality, safe patient-and family-focused care will follow. How are nurses portrayed in the media? 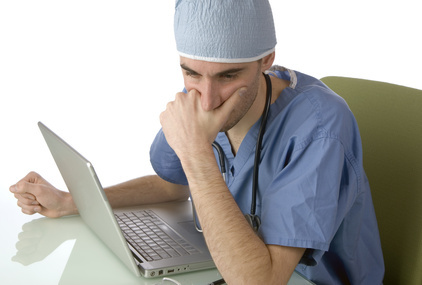 A group of researchers decided to find out, by examining the YouTube database to find the most viewed videos for “nurses” and “nursing” as of July 2010. This was found to be in keeping with other forms of mass media portrayals of nurses. The study indicates that these stereotypes are not merely annoying; they can have a real effect on how patients interact with the nurses who are caring for them. Nurses are highly-trained professionals who play a crucial role in American health care, yet these portrayals trivialize what they do and who they are. The study authors suggest that the nursing profession harness the power of YouTube to promote a more positive image. • The 10 most viewed videos reflected a variety of media, including promotional videos, advertising, excerpts from a TV situation comedy and a cartoon. Some texts dramatized, caricatured and parodied nurse-patient and interprofessional encounters. • Four of the 10 clips were posted by nurses and presented images of them as educated, smart and technically skilled. They included nurses being interviewed, dancing and performing a rap song, all of which portrayed nursing as a valuable and rewarding career. The nurses were shown as a distinct professional group working in busy clinical hospitals, where their knowledge and skills counted. • Nurses were portrayed as sexual playthings in media-generated video clips from the sitcom Frasier, a Virgin Mobile commercial set in a hospital, a lingerie advertisement and a “soft news” item on an Internet videocast. All showed the nurses as provocatively dressed objects of male sexual fantasies and willing accomplices in their advances. • The final two clips were a cartoon that portrayed a nurse in an Alzheimer’s unit as dim and incompetent and a sitcom that showed the nurse as a dumb blonde, expressing bigoted and ignorant views about patients and behaving in a callous and unprofessional way. “Despite being hailed as a medium of the people, our study showed that YouTube is no different [from] other mass media in the way that it propagates gender-bound, negative and demeaning stereotypes,” Fealy said. “Such stereotypes can influence how people see nurses and behave toward them. July is the month that medical students, fresh from medical school, start learning how to be doctors. That gives rise to the “July Effect,” where medical error rates increase as these new doctors learn on the job. In this article in the New York Times, Theresa Brown, a nurse, looks at whether the July Effect exists, and how nurses can deal with it if so. She goes on to describe an experience she had as an oncology nurse, where a patient was dying of cancer and was in unbearable pain. She paged the first-year resident, brand-new to actual doctoring, and explained why the patient needed a much higher dose of pain medication. The doctor refused to up the dose. After trying repeatedly to convince him, as her patient writhed in pain, Brown paged the palliative care physician on call, who she had talked to about the patient day before. I described the patient’s sudden lurch toward death, the sharp increase in pain and the resident’s reluctance to medicate the patient enough to give him relief. “Ah,” she said, “I was worried about that,” meaning that the patient might begin actively dying sooner than the medical team had expected. She ordered a morphine pump. I got the drug, loaded and programmed the machine. The patient died fairly soon after. He was conscious to the very end, and I can say he did not meet his death in agonizing pain. A FEW hours later I ended up in the elevator with the new resident. He and I both started talking at once. Looking stricken, he apologized to me for having been busy, overwhelmed with several new patients. Knowing it is never easy to have someone’s footprint on your head, I apologized for having called in an attending physician. “I don’t usually jump the line,” I started to explain, when he interrupted me. “You did the right thing for the patient,” he said. Such an exchange is rare. A nurse who goes over a doctor’s head because she finds his care decisions inappropriate risks a charge of insubordination. A resident who doesn’t deliver good care risks the derision of the nurse caring for that patient. Nurses aren’t typically consulted about care decisions, and this expectation of silence may lead them to lash out at doctors they see as inadequate. The July Effect brings into sharp relief a reality of hospital care: care is becoming more specialized, and nurses, who sometimes have years of experience, often know more than the greenest physicians. We know about medicating dying patients for pain, but we know a lot of other things, too: appropriate dosages for all kinds of drugs, when transfusions and electrolyte replacements are needed, which lab tests to order and how to order them, whether consulting another specialist is a good idea, whether a patient needs to go to intensive care because his vital signs are worryingly unstable. The problem can be limited by better supervision from senior residents, fellows and attending physicians, as well as by nurses. We need to acknowledge this fact, because admitting that new residents need help, and that nurses can and do help them, is the beginning of owning up to our shared responsibilities in providing care. For the good of our patients, nurses and doctors need to collaborate.